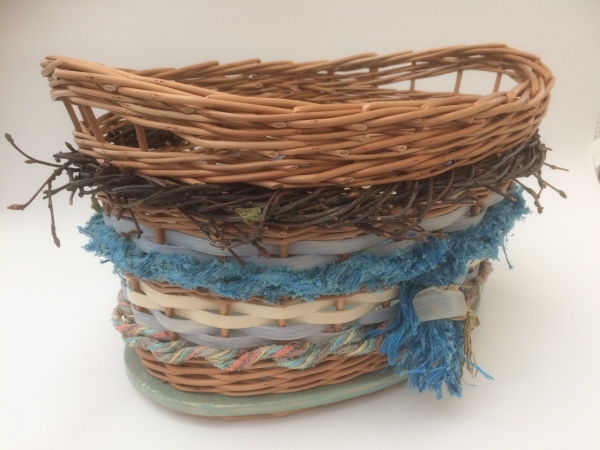 Ever since childhood I have been actively involved in a wide range of crafts and visual arts including textiles, printmaking and photography. 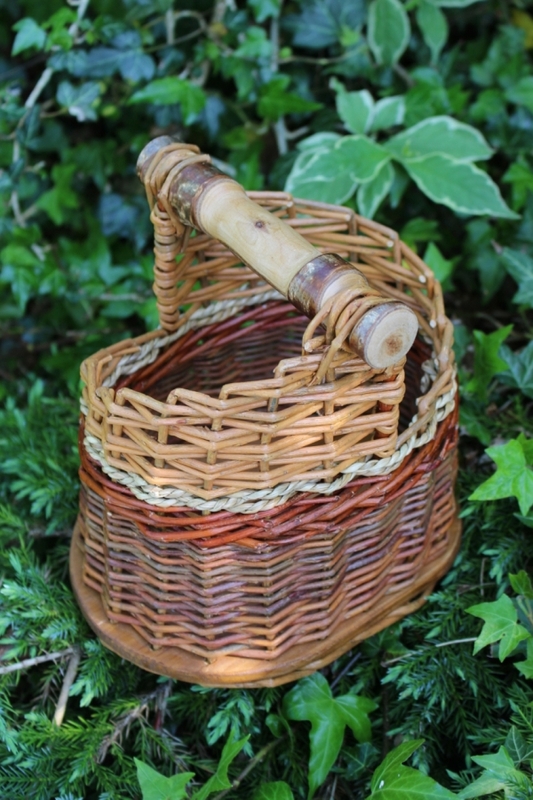 I only discovered basketry in 1997 however, when I made my first willow basket at a Woodcrafts Taster Day near my home in County Durham, with a great deal of help from the extremely patient tutor Steve Fuller. 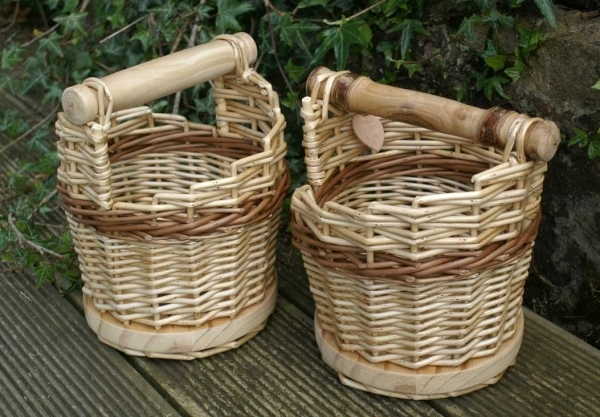 From that day I was hooked and I attended every basketry and willow crafts workshop I heard about although these were far too infrequent for my liking. 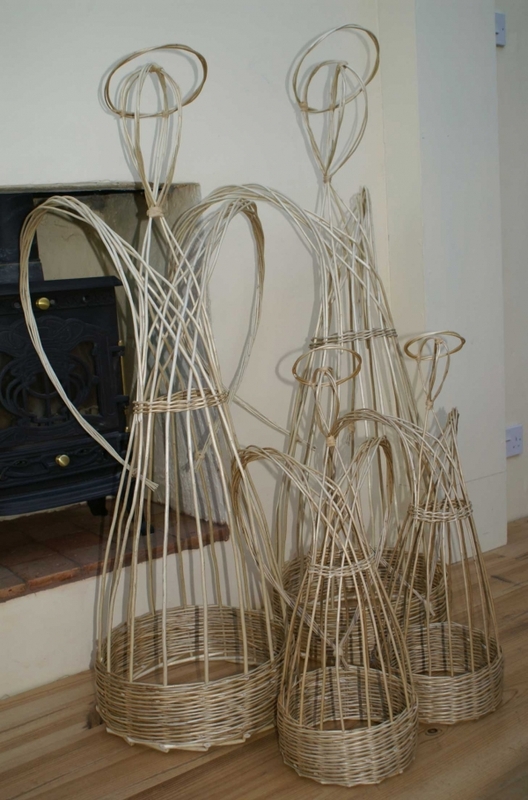 It was only in 2008 when I joined the Northumbria Basketry Group about a year after its formation that I was able to develop my skills in basketry and my understanding of willow and its properties in a regular and consistent way. I love working with willow. I love its feel, its character and its temperament. 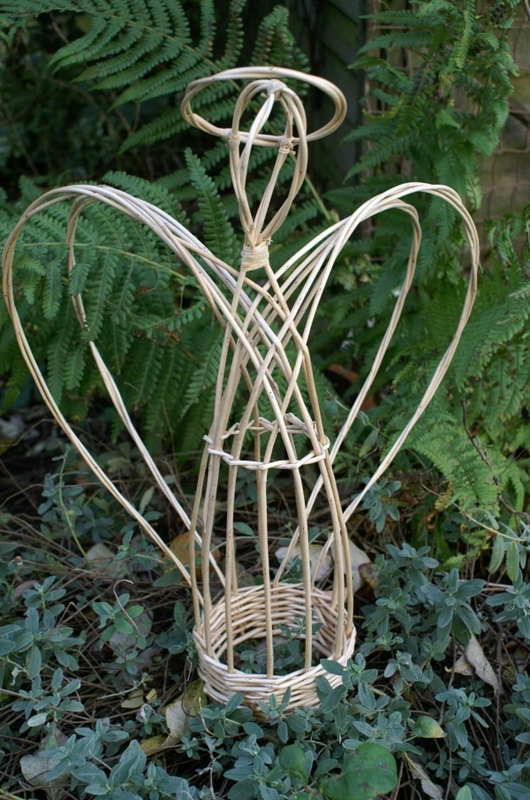 Willow is a natural material that stays recognisable and keeps its individuality. 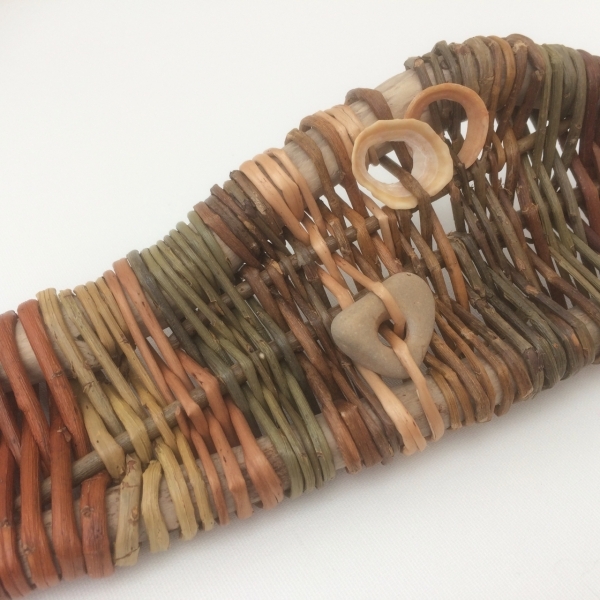 It provides challenges beyond those of the weaving process itself, challenges of working with and controlling a vibrant organic material where every rod is different and no two completed items will ever be completely identical. 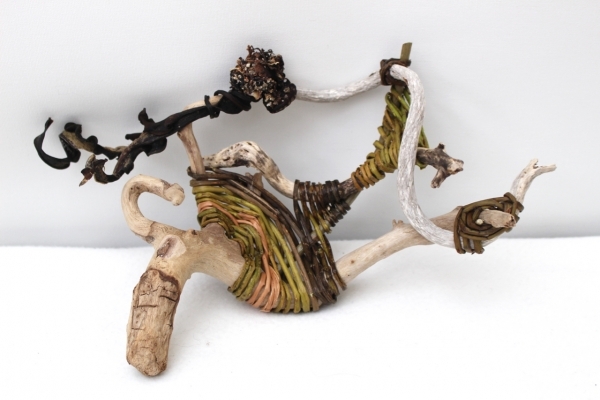 The material can nevertheless be shaped and manipulated into creations of great strength and beauty. 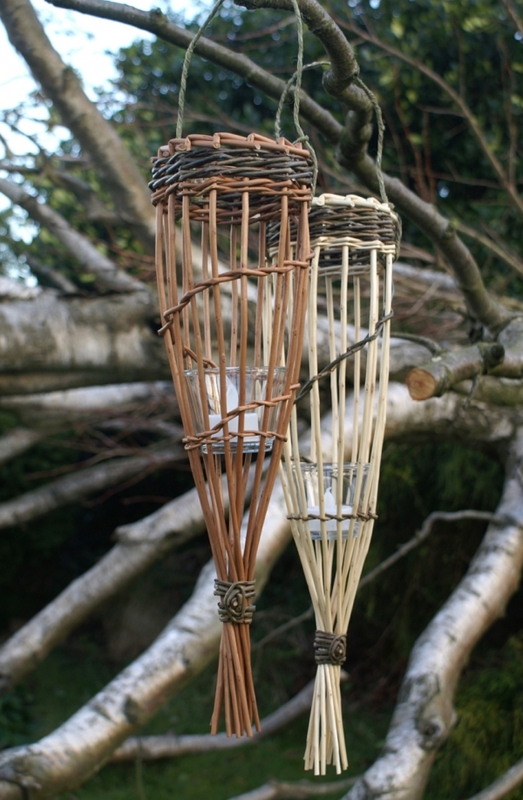 I like to experiment with incorporating other natural and man-made materials into my work and I am pleased to be playing a small part in keeping alive an ancient traditional skill by using and adapting it to create items relevant to todays lifestyle.